Doug Tompkins, the co-founder of The North Face and Esprit clothing lines, died Tuesday while kayaking in Patagonia, Chile. He was 72. Tompkins was an avid conservationist and created the Conservation Land Trust which had environmental projects in Chile and Argentina. "We can confirm he has passed away and it happened today," trust spokeswoman Alison Kelman told CNNMoney Tuesday. She said Tompkins had a kayaking accident on Lago General Carrera in Chilean Patagonia. Kelman said he was taken to a hospital in Coyhaique where he died of hypothermia. "After 'cheating death' so many times on perilous climbing expeditions to some of the planet's most remote places, Tompkins was enjoying a kayak camping trip with friends," when the accident occurred, the trust said in a statement. Tompkins, an enthusiastic adventurer, founded The North Face in 1964 and a few years later created Esprit along with his first wife Susie. Esprit grew to more than $1 billion in sales, according to his conservation web site. He sold his share of Esprit in the late 1980s and began his career in conservation by creating the Foundation for Deep Ecology and moving to Chile. 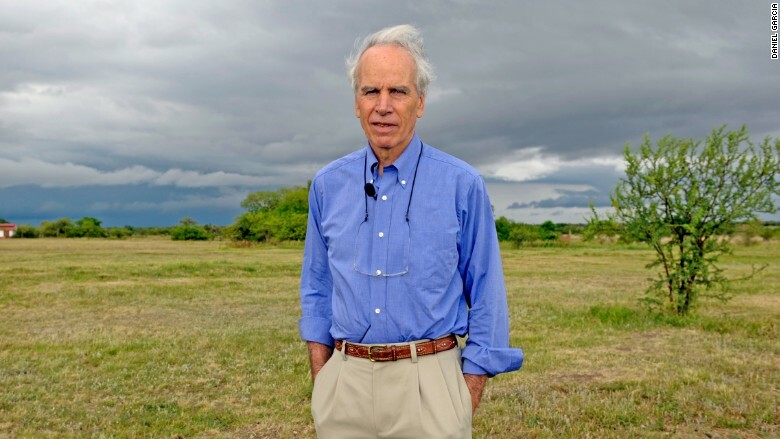 The trust described Tompkins as "one of the Earth's foremost conservationists" and credited him with helping to create five national parks in South America and was in the process of creating several more. He is survived by his second wife Kris who spent 20 years as the CEO of the Patagonia clothing company. She retired in 1993, married Tompkins and moved to Chile where they both concentrated on environmental projects. Doug Tompkins, the creator of North Face and Esprit clothing lines, died Tuesday while kayaking in Patagonia.